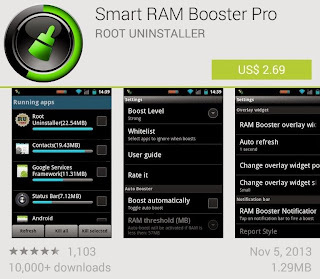 ..// Smart RAM Booster Pro //.. The best optimization tool. 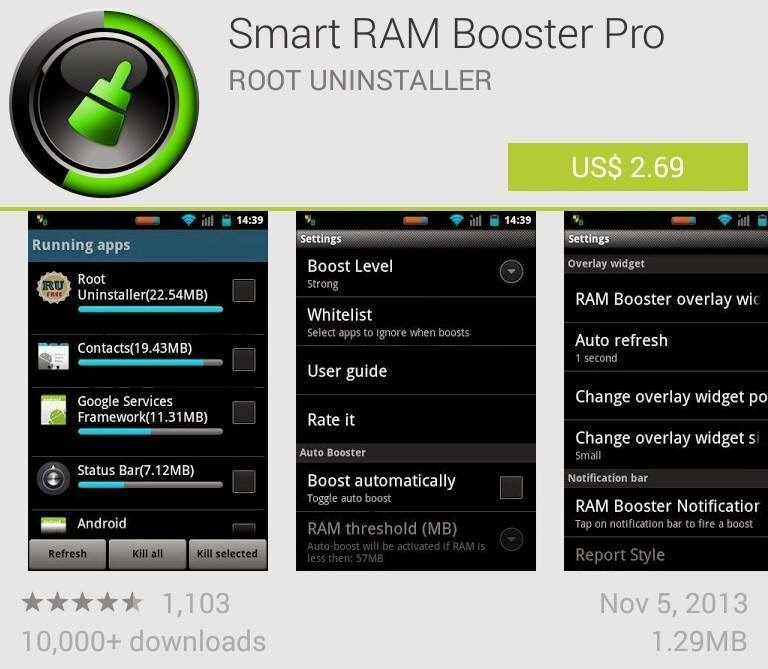 This is former Smart RAM Booster. Recommended by AddictiveTips. Hotest Apps by AppBrain. especially when you launch a new app after heavily browsing web pages. It causes a worse experience.